Two-piece toilets are still one of the most popular types of toilets even though one piece toilets are gaining popularity. Despite being cheaper than their counterpart, two-piece toilets still come with many exceptional features and designs found in the high-end one-piece toilets. So, instead of spending on a simple one-piece toilet, why not go for a quality two-piece toilet at almost the same price? Today, manufacturers are coming up with more advanced toilets making it hard for homeowners and buyers to have an easy time picking the best flushing toilets. So, how to find the best two piece toilet for the money? Two-piece toilets are the cheapest, easiest to install, and their spare parts can be found with much ease. This cannot be said about the high-end toilet designs like the Toto NeoRest, Kohler Veil Intelligent, or Saniflo toilets. But still, some people have started embracing these high-end toilets as they offer one of the best experiences in terms of performance, use, and maintenance. In this Two Piece Toilet review, we’re going to look at the 10 best two piece toilet on the market. As usual, without any bias, Toto leads the way as other brands follow. Ensure that you select a toilet that will be comfortable, offer great performance, saves water, and it is ADA compliant for easy use by all family members. With more than 90+ years of experience in the toilet field, Toto offers some of the best and most trusted toilet designs in the industry. 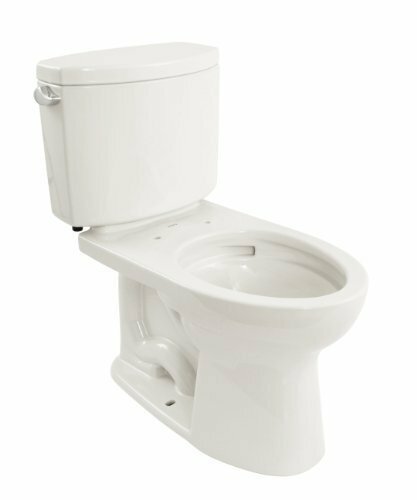 The Toto Drake II is an upgrade of one of the best selling toilets on the market, which is the Toto Drake toilet. The TOTO Drake II comes with some advanced features but still performs outstandingly just like the Drake toilet. The Toilet utilizes the powerful double cyclone flushing system using only 1.28 GPF. This system provides a powerful flush that clears the contents and leaves the toilet looking clean with the help of the CEFIONTECT glaze. It is also comfortable, easy to clean and meets most toilet standards in the US. Thus, it is the best 2 piece toilet to buy. You will also have to purchase a wax ring, water supply lines, and mounting bolts as they are not included in the purchase. Kohler is another reliable toilet brand with some of the most comfortable toilets on the market. The Kohler Memoirs stately two-piece toilet will definitely change the look of your bathroom with its stately look. It is easy to install but you’ll have to purchase a few things to set it up. If you want a budget toilet, then It is best two piece toilet. 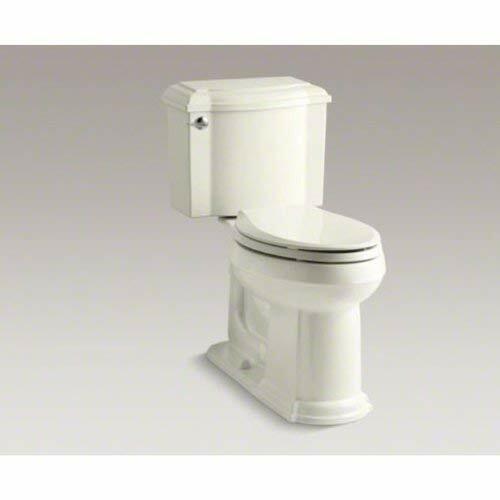 The Memoirs toilet model features a comfortable toilet height and elongated bowl design for comfort. With the AquaPiston technology that only uses 1.28 GPF, you’ll be able to save water but at the same tie clear waste in just one flush. If you’re looking for a quality toilet to install in your basement bathroom, the Saniflo toilet will be the most suitable toilet for you. This quality and powerful toilet can also be installed where there is no sewer line. The Saniflo Saniplus macerating toilet is easy to install. But if you don’t feel comfortable to install it yourself then, it is a good idea to call a plumber to help you out. The Saniflo Saniplus macerating toilet can be connected with your sink, bath, or even shower. It features a powerful motor which aids in the reducing of solids into a flurry to allow for easy ejection. This toilet is also comfortable as it comes with an elongated bowl design. 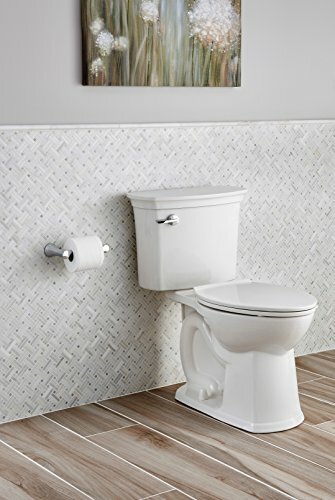 With a 2-year warranty, this is a nice toilet for your basement bathroom. The Toto Vespin II two-piece toilet features the SanaGloss ceramic glaze that keeps the toilet cleaner for longer as it prevents mold and other particles from adhering to the toilet surface. It is also comfortable as it comes with an elongated bowl design and a universal height for easy sitting or standing up. If you want a high-quality best two piece toilet, then this Toto Vespin could be a goood option. The toilet is ADA compliant and EPA WaterSense certified. This is because it has a left-hand side trip lever and only uses 1.28 GPF, respectively. The double cyclone flushing system ensures waste is cleared easily with little water. American Standard is another notable brand in the market with high-quality and well-performing toilets. The American Standard ActiClean is an elegantly designed toilet that will change the appearance of your bathroom. It will greatly minimize the number of times that you have to clean the toilet as it comes with a self-cleaning function. This function gives you a quick clean that lasts for only one minute and a deep clean that lasts for 10 minutes. Just press the button for the type of cleaning that you want and relax as it does the rest for you. If comfort is what you’re looking for, then the Kohler Devonshire two-piece toilet will be the best choice for your bathroom. This gorgeous and stunning toilet will instantly beautify your bathroom and offer you comfort as you sit or stand up. Apart from that, the toilet has an elongated bowl design and comfort height that will be welcomed by people of all ages. With the class R (5), expect this toilet to move bulk mass efficiently, while at the same time using only 1.28 GPF. This means the toilet can be installed in states with strict regulations like California. You also have a wide range of colors to pick from apart from the biscuit color. Other colors include black, almond, white, sandbar, and ice gray. Toto always creates outstanding toilets and the Toto Aquia II toilet is no exception. 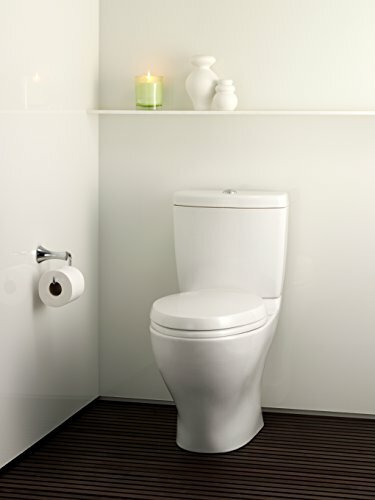 This sleek and compact toilet is perfectly designed to fit in compact bathrooms but still deliver much-needed comfort. It features the dual flushing system that allows the user to save water and have a much lower water bill. There is a button for a partial flush and another for a full flush. The Toto Aquia II also has a large, 2-1/8” fully glazed trapway that can handle any bulk and prevents clogging. It is also comfortable with the elongated bowl and it is of a regular height for easy sitting and standing up. If you’re slightly taller than most people, then worry not as the Convenient Height 21-inch toilet is here for you. Despite being taller than most toilets on the market, the Convenient Height 21-inch toilet still provides comfort and performs at a high level. Just like many high-efficiency toilets, this toilet comes with a dual flush with the partial flush utilizing 0.9 GPF and the full flush utilizing 1.28 GPF. It is the best two piece toilet for elder. This toilet has a bowl height of 20-inches, while the total height with toilet seat included is 21-inches from the floor. With this type of toilet, you will be very safe in the bathroom and it prevents falls. It also has a slow-close seat, which won’t slam after visiting the toilet. 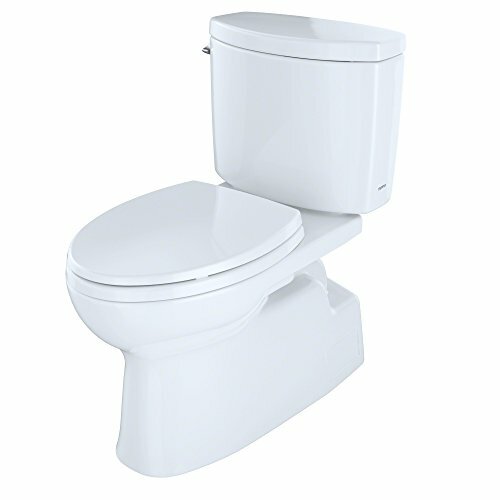 If you want a sleek and lovely toilet at a great price, then I highly recommend the American Standard Cadet 3 toilet. This toilet features a skirted design which makes it look beautiful and will easily blend with your bathroom décor. It is also easy to clean as there are no corners or crannies to disturb you while cleaning. 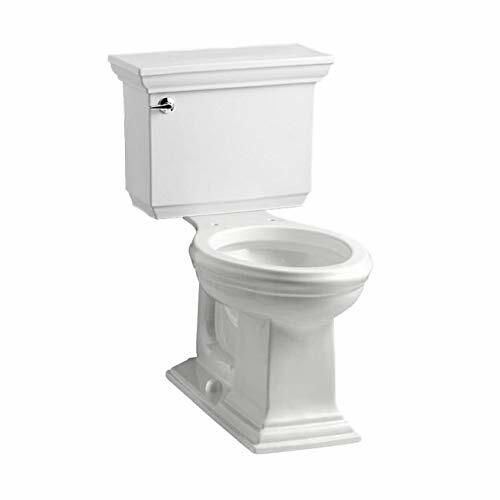 Apart from that, the Cadet 3 two-piece toilet a large 3-inch flush valve that allows a lot of water into the bowl more quickly, thus it creates a cleaner and powerful flush. In addition, the Cadet 3 flushing system together with the EverClean surface ensures that the waste is cleared at once and the toilet remains clean after every flush. No mold, mildew, or bacteria sticks to the toilet. The toilet is also comfortable with the elongated bowl design, right height, and slow-close seat. Tired of receiving a high water bill, the Niagra Stealth two-piece toilet should be the answer to your worry. 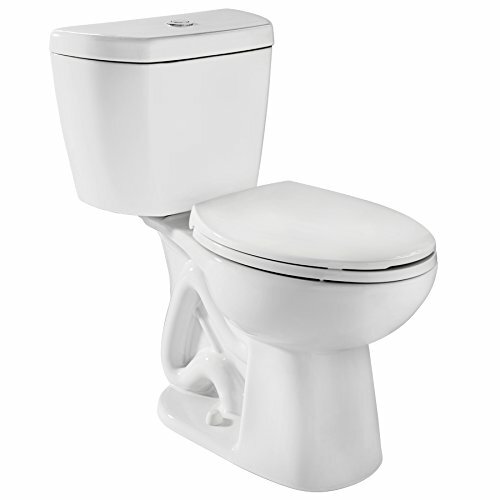 This elongated bowl toilet is an ultra-high efficiency toilet as it uses only 0.8 GPF. The toilet is also easy to install but doesn’t come with a seat. It is AD compliant and EPA WaterSense certified. The pressure assisted flushing system is very effective and clears contents in almost one single flush. It also operates quietly; hence you won’t have to wake up people after visiting the toilet. 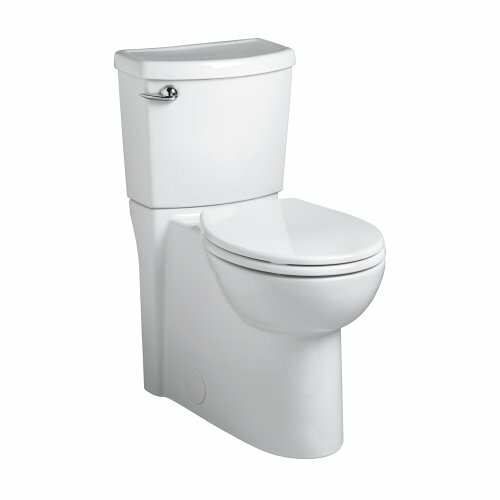 Buying a toilet shouldn’t be rushed at all as this is something that you will use frequently in your home or washroom. Take your time and select the best two piece toilet that meets your needs and budget. The toilet that you select should be comfortable, durable, easy to maintain, and have a low water consumption rate. With so many toilet brands coming up, it is important that you don’t get deceived by cheap toilets with good warranties that won’t last. Instead, take your time to find a quality toilet from a quality brand. Hope you’ve found a toilet of choice from our list above? Question: How do I fix a running toilet? Answer: First and foremost, you’ve to identify what is causing the toilet to run. If water is running into the overflow tube, then you’ll have to adjust the float valve. But if the chain is too tight or too slack, then you’ll have to ensure that the chain has only 1-2 beads of slack. Question: What are the most commonly replaced toilet parts? Answer: This depends on a wide range of factors. Every time you use your toilet; the flapper, chrome trip lever, and fill valve are operated. However, you will notice that the flapper and fill valve are the parts that are most exposed to water and will be the first ones to wear most often. So, these are the parts that you will have to regularly change or replace over the years. Question: What is a two-piece toilet? 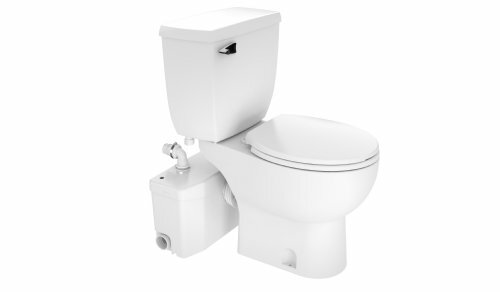 Answer: A two-piece toilet is one with the toilet tank and bowl separated from one another. In some cases, a two-piece toilet is also referred to as close-coupled toilets. 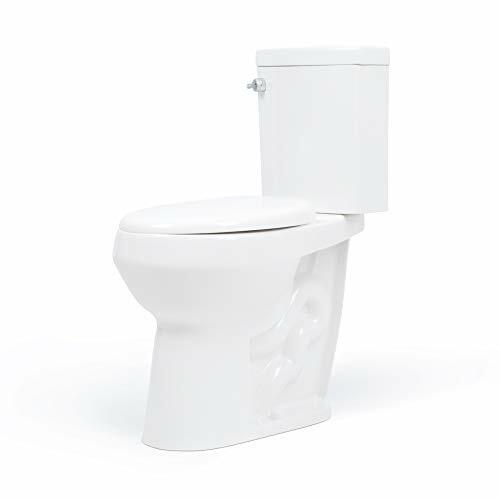 Two-piece toilets are easy to install as you start by installing the toilet bowl and the tank. Still, have a question after reading this Best Two Piece Toilet Reviews article? Comment below.